Reach Deep Ketosis in 3 Days - Bundle Sale! More pink than blue, but bursting with wild berry flavor, this all-natural low carb ice cream recipe transitions from casual to formal with a simple flick of your wrist. Mash your blueberries for more concentrated color, or scatter in whole as you finish the batch. A surprise splash of lemon adds a (subtle) citrus bite to an otherwise sweet sensation. Per Serving: 162 calories, 4 net carbs. In a 3-quart saucepan combine blueberries, stevia and lemon juice. Mash berries slightly and cook over medium heat, stirring occasionally, until the mixture comes to a boil. Simmer 5 minutes. Remove from heat and puree in a blender. Cool the mixture. Add cream and vanilla. Place in an ice cream maker and churn according to instructions. Freeze churned ice cream for an hour before serving. This makes ice cream with a perfect consistency. Place mixture into a container in the freezer, churning by hand with a fork / spoon / whisk every 30 minutes. This makes ice cream with a chunky‐firm, icy consistency. Per Serving: 162 Calories; 15g Fat (89.2% calories from fat); trace Protein; 4g Carbohydrate; trace Dietary Fiber. De-Bittered Stevia has no unpleasant aftertaste. This blend has none of the characteristic bitterness of typical stevia sweeteners. Zero carb and zero glycemic impact. Top your low carb ice cream with shredded coconut for extra crunch (and healthy, MCT fats). Or just add a few tablespoons of MCT oil. Left Coast’s pure MCT oil converts into energy faster than other oils, ignites your body’s metabolic rate and helps maintain healthy levels of cholesterol. Triple filtered, pharmaceutical grade and USA-made. Need something less casual, with a little more spark? Make the low carb blueberry ice cream recipe according to directions, but without adding the blueberry puree. You’ll add the blueberries during the last minute or two. Wait until your ice cream is almost finished churning, then pour the blueberry puree into the machine for the last minute or two – or just until incorporated. Allow ice cream to set (freeze for one hour) before scooping to preserve the ribbon effect. Place your blueberry ice cream (without the blueberry puree) in a container in the freezer, and churn by hand with a fork / spoon / whisk every 30 minutes. Once ice cream becomes firm, drop tablespoonfuls of blueberry puree into the mix, spacing the spoonfuls evenly apart. Use a knife to swirl the puree around, creating a marbled look. Place ice cream back into the freezer until fully set. There are a few ways to skip the pink and add stronger color to your blueberry low carb ice cream. Healthy: Increase the amount of blueberries, and puree until almost liquid, or decrease the amount of cream in the recipe. Not-As-Healthy: Add a few drops of food coloring, or sprinkle a little sugar-free Jello dry mix into the batch. Enter deep ketosis, break your stall, recover from your cheat day, or reset your diet in three days using this aggressive technique, first made famous by Dr. Robert Atkins over 40 years ago. The Almost Zero Carb Meal Plan is a powerful tool, allowing metabolically-resistant dieters to reach deep nutritional ketosis quickly. What happens when you follow the plan? Incredibly rapid fat loss. Choose from 150+ easy recipes and food combos (with special macros and almost no carbs), plus a special Holiday Recipe section! Break your toughest diet stall. Lose fat quickly for a special event. Recover from an accidental cheat. Avoid plateau completely: Use once a month. Reach a deeper state of ketosis over the weekend. Finally access and burn stubborn, stored fat. 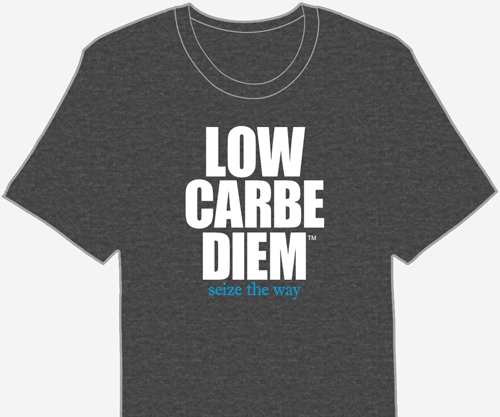 Restart or reset your low carb or keto diet. Sharpen your sense of portion control. Take three days off. 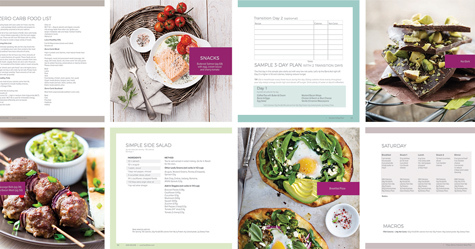 Create a personalized plan that works, with a decadent variety of workhorse recipes you’ll keep eating long after reaching your goal. Go Almost Zero and start burning fat with your next meal. Fit in those jeans again. In three days. © 2019 Low Carbe Diem. All rights reserved.